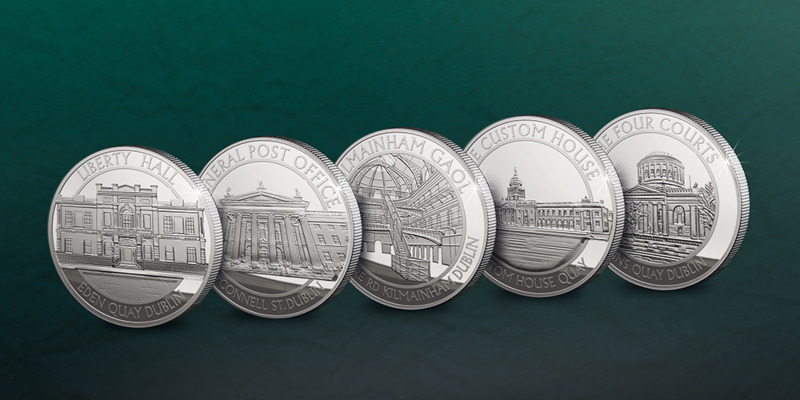 Exclusively available through the Dublin Mint Office medal depicts Michael Collins alongside the GPO which served as the headquarters for the uprising. The reverse features the words ‘sworn to be free’ in Gaelic and English, taken from ‘Amhrán na bhFiann’ (‘A Soldier’s Song’) which became the National Anthem and the ultimate symbol of the free and independent Ireland Michael Collins fought so hard to create. 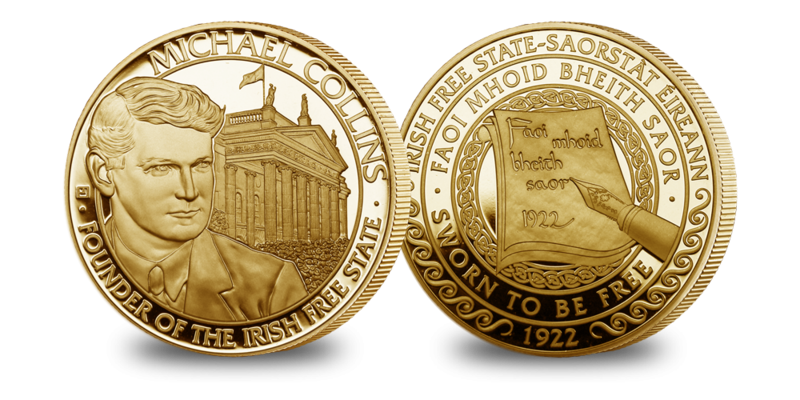 Start today by ordering the Michael Collins commemorative medal, Normally €49.95, layered in pure Gold can be yours today for only €19.95 with a total saving of €30.00. You will then receive the five remaining medals at monthly intervals, entirely on approval, for only €49.95 (plus €3.95 P&P). You may return any medal within 14 days and cancel at any time. Demand to complete the Building the New Ireland medal sets is very high as complete sets are always more valuable to collectors. However, the low edition limits mean less than 1 in 10 households will be successful in securing the complete set. An immediate order is imperative for the best chance of securing your set and your €30.00 saving. Each of the five remaining medals in the set have the same low edition limit of only 100,000 worldwide and are layered in pure silver. Each of the medals depicts the portrait of iconic Irish buildings that were a major part in Ireland’s fight for freedom. The commemoratives all share a common obverse design, inspired by the Irish Parliaments clock face, and is set at the time of 12:04, the exact time Padraig H. Pearse was stood beneath the pillars of the GPO and in the company of other members of the provisional Government, James Connolly, Joseph Plunket, Tom Clark, and Sean Mac Diarmada, and read the Proclamation of The Irish Republic to the People Of Ireland. Collect all of the remaining medals to complete your Building the Ireland Collection!